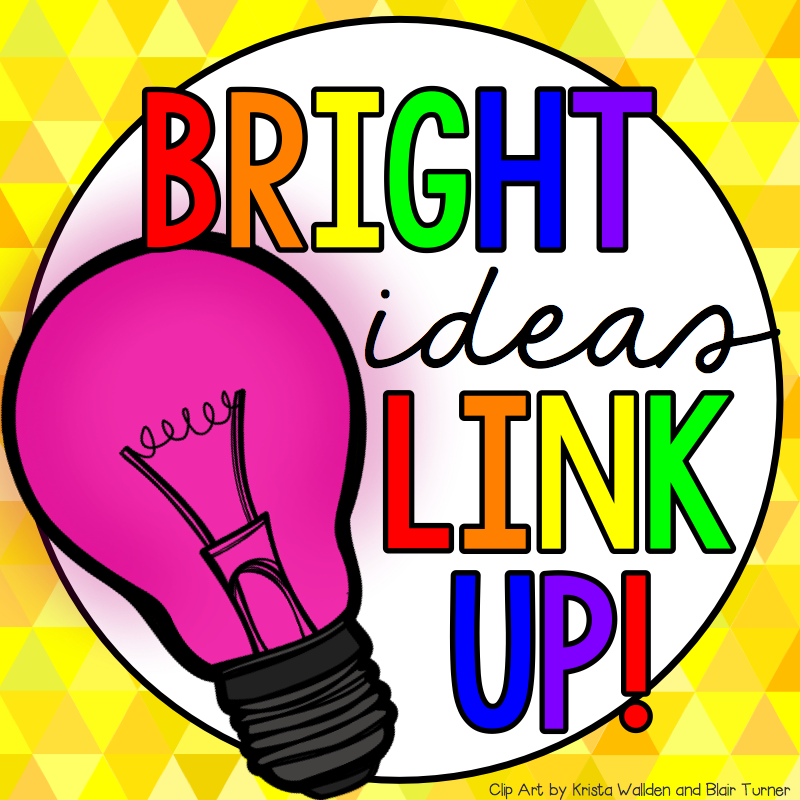 Bright Ideas! 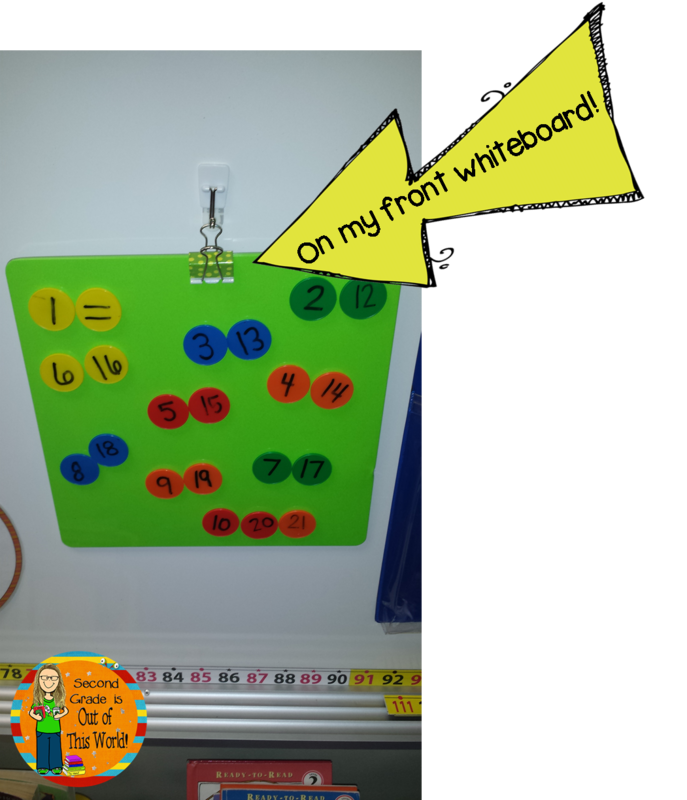 Attaching a dry-erase board to a bulletin board! | Primary Planet! Bright Ideas! 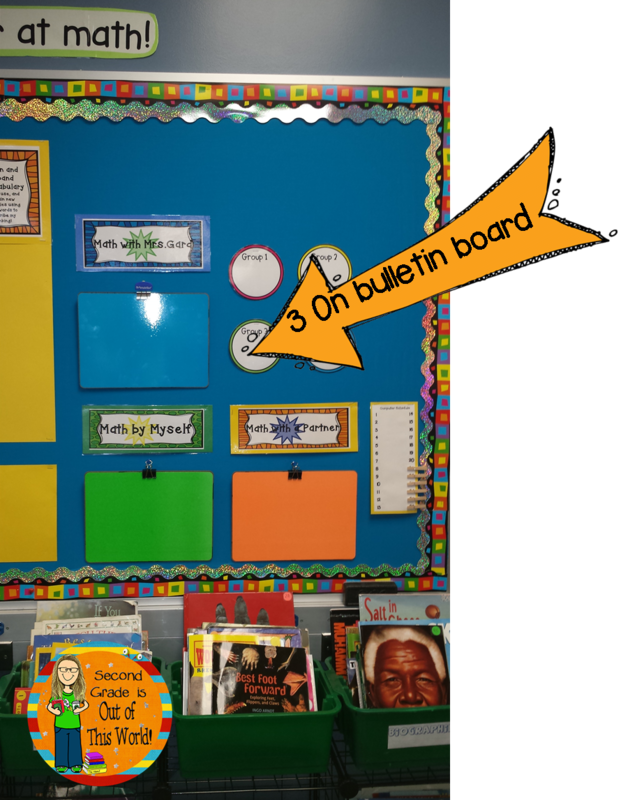 Attaching a dry-erase board to a bulletin board! So, I was working in my classroom (We get kiddos next week!) and was putting my math bulletin board together when inspiration hit! I wanted dry-erase boards, but couldn't figure out how to get them on my bulletin board. So, here is the solution I came up with! 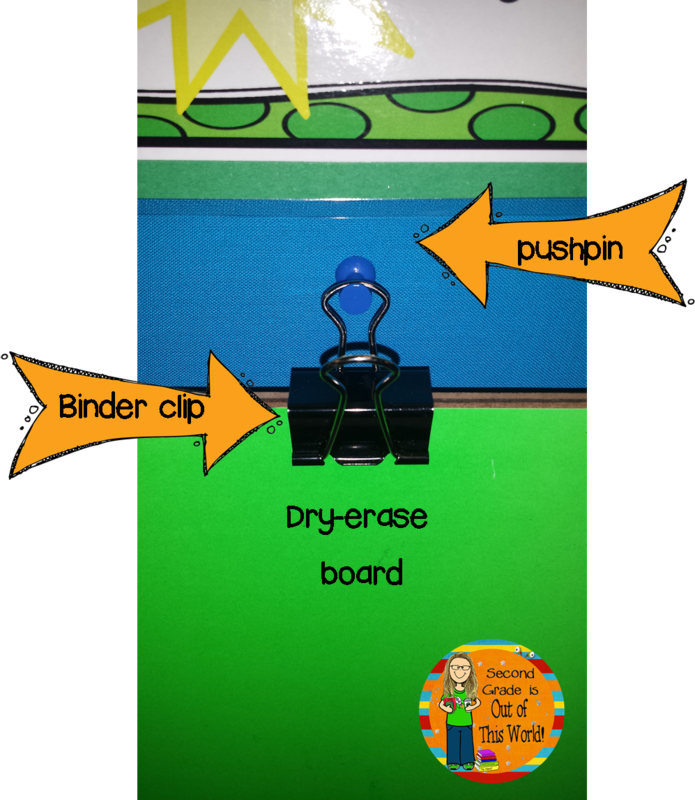 You need a small dry-erase board, a binderclip and a pushpin. Easy peasy lemon squeezy! 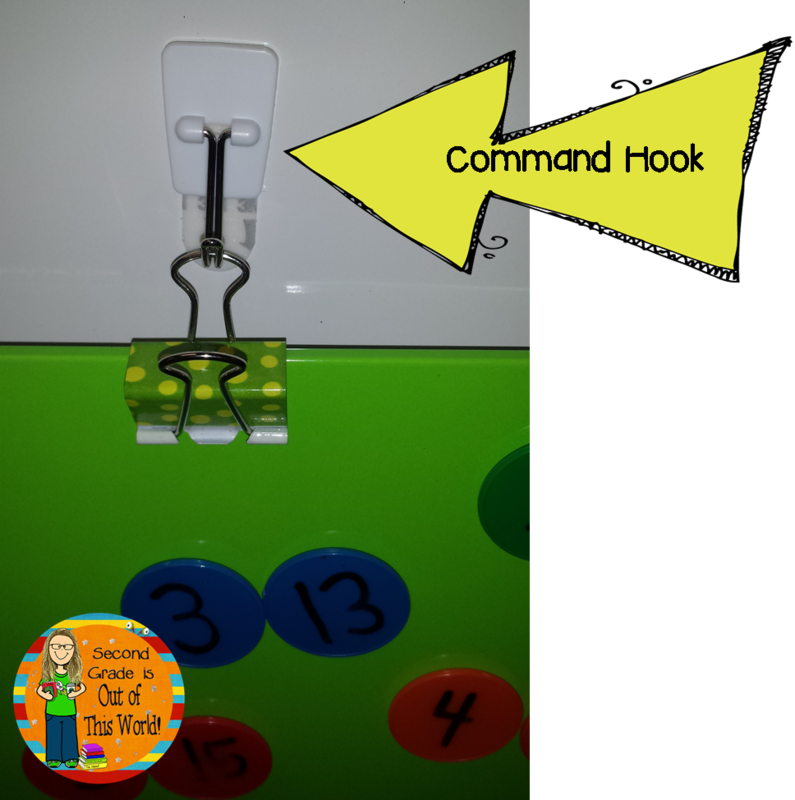 This also works using a Command Hook! Here is a zoomed out photo! This little green board is dry-erase and magnetic! If you enjoyed this post please consider following me on Facebook, Instagram or Pinterest. I attach small marker boards to my walls too.. but always used thumb tacks to create a ledge on the top and bottom for it to sit between. These hooks will make it a bunch more effective! Thanks for your great idea! Thank you so much for stopping by! I am so glad that you can use my idea! What a great idea! I LOVE it! Simple and very practical! Thanks for sharing this idea! Thanks everyone for stopping by! I am glad you found my Bright Idea useful! This is such a great idea and so simple! I will be trying it out tomorrow when I go back for my first day. super cool. Can't find the colored magnetic erase boards....where? can you tell me where you purchased the colored dry erase boards. I've searched around to come up empty. Are they call colored magnetic tiles?